The Newly implemented Real Estate Regulatory Authorities under the ambit of Real Estate Development and Regulation Act, 2016 has wide powers. The legislature in its wise wisdom has tried to cover every lacuna which may exist in the market and would have required the help of authority. The Authority from ordering refund under Section-18 to the formation of an association of allottees under Section-8 has powers to all of it. One such power that also vests with the authority is that of supervision. 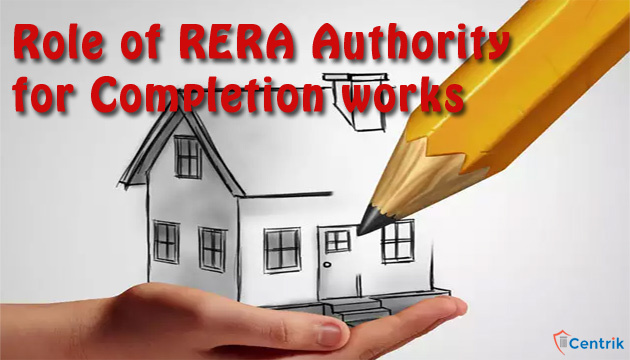 The authority does not only has judicial powers of passing orders but also has some post order administrative responsibilities to make the passed order functional and effective for the aggrieved homebuyers. There are many instances where the supervisions role of Authority is required. One such vital scenario is that where the builder or the developer has become incompetent for completing the project or has been completely abandoned. In such cases authorities have started resorting to Section-8 of the Act wherein an association of the buyers could be formed in order to carry out the development works or in case the project is left at initial phase then the property is sold off and the money so collected is distributed among the buyers. The case that we will deal in detail here is the one in which development works are left midway and the route of completion is taken up by the Authority. One such case has happened in the matter of Shubhkamna in Greater Noida wherein the Authority has asked for a plan for the association of buyers to facilitate the complete works of the remaining project. The role of the Authority in such cases is very pivotal and plays in various directions. The Authority acts as a refry between all the stakeholders and looks after everything possible in order to implement the order in the best possible way. The Authority plays a crucial role as to who all will be appointed at various fronts such financial, technical etc and also facilitates other support to the buyers which are in their power. The Authority keeps the system of checks and balances by ensuring that reports at all fronts are submitted with them in order to eliminate any scope of misuse. This supervisor role may look like cake walk at first but requires a keen eye and support of the judicial members and goes long way in facilitating justice to the buyers. Now, you may think that this supervisor role of the Authority is limited but such is not the case in reality. Section- 35 to 38 of the Act give the widest of powers possible and also extends at the stage of supervisor role and therefore, in any breach Authority is fully empowered to even take suo moto actions. Only time will tell how this power is best put to use by the Hon’ble judicial members of the Authority. So Far, the story looks good and Authorities across the country are putting their best foot forward but the real picture can only be formed after passage of time.